Crab: Use Your SQL Skills to Analyze Files and Run Commands — Essentially a sort of SQL-powered shell (imagine select fullpath, bytes from files order by bytes desc limit 5;). Currently Mac and Unix only. Free to evaluate but a (low priced) commercial product. From Search to Distributed Computing to Large-Scale Information Extraction [podcast] — Ben Lorica interviewed Mike Cafarella, co-creator of Hadoop, about the origins of Nutch, Hadoop, HBase, and his move to an academic career. Real-time Database Monitoring at Any Scale with Datadog — Use Datadog's turn-key integrations to seamlessly aggregate metrics and events across your databases and entire devops stack. Gain powerful insight into all your apps, tools and services. 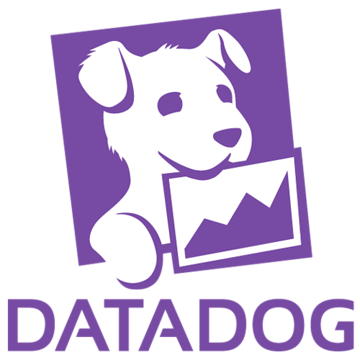 Start your Free Datadog Trial today. Contentless SQLite FTS4 Tables for Large Immutable Documents — If you use SQLite FTS4 for indexing large immutable documents, you might want to consider contentless tables. With minor adjustments, the database could be 2-3x smaller. TiDB: A Distributed SQL Database Written in Go — Inspired by the design of Google F1, TiDB is a distributed SQL database with the best features of both traditional RDBMS and NoSQL. Still early days and not recommended for production. SQL vs NoSQL KO: Postgres vs Mongo — A thorough comparison of Postgres to Mongo (one of the predominant NoSQL databases). Instead of just performance benchmark fodder, this post does a great job helping educate about many of the differences along the way. Life in A Redis Cluster: Meet and Gossip with Your Neighbors — Since version 3.0, Redis can operate in ‘cluster’ mode, providing automatic data sharding across multiple nodes. MoSQL: A MongoDB to PostgreSQL Streaming Translator — Imports the contents of your MongoDB database cluster into a PostgreSQL instance, using an oplog tailer to keep the SQL mirror live up-to-date. This lets you run production services against a Mongo database, and then run offline reporting using SQL. The Story of Why Web SQL Died — This is an old post but I missed it first time around and it’s an interesting story. OSCON EU 2015: Amsterdam, October 26-28 — O'Reilly's OSCON open source conference is coming to Europe this October, featuring speakers like Douglas Crockford of PayPal and Leslie Hawthorn of Elastic. There's a data track too. SAP Combines In-Memory Engine With Hadoop — A new in-memory query engine designed to boost interactive analytics capabilities on Hadoop has been added to SAP HANA. Do the Math: Can Your Business Benefit From a Cloud Database? 10 Reasons to Love SQLAlchemy — The Python SQL toolkit and Object Relational Mapper.